Trends come and go but the beauty you possess is yours forever. Don't let anything stop you from being radiantly glowing! That's why, this season of getaways and adventures, the BDJ Box Team will help us maintain our beautiful aura - no matter where we are! You know that I am a fan of the BDJ Box since Day 1. I know, too, that you guys always wait for the "unboxing" posts that I write. So, here is what BDJ gave me for the month of April. The secret to getting that overall radiance is to enhance the beauty of natural skin for a lit-from-within glow by giving the care it needs. Achieve that fairer, soother and whiter complexion by exfoliating with the right cream. Put on some lotion to keep your skin hydrated and feeling oh-so-luscious. Sweep on a volumizing mascara to make your eyes pop! 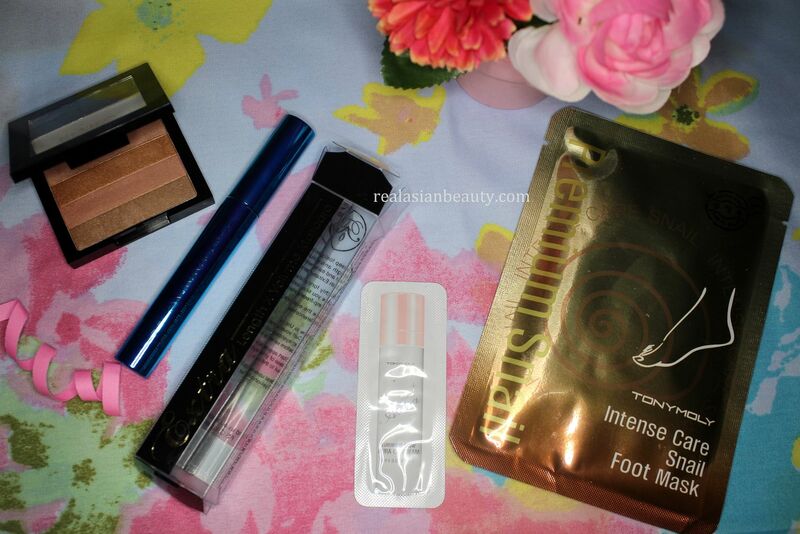 Use the highlighting palette on your cheeks and a bit on your lids to give you an extra sun-kissed glow. Lastly, top off your look and feel extra pampered with facial cream to help you score that subtle yet luminous skin you need this season. 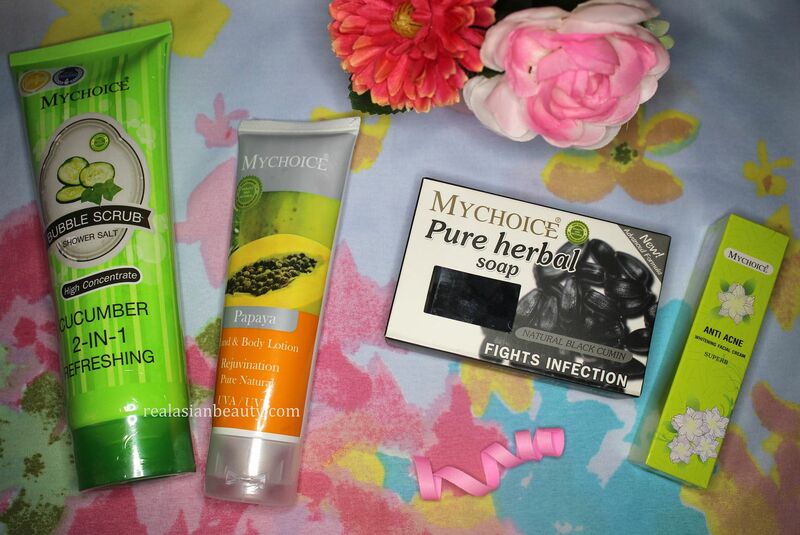 Pamper your skin with these MYCHOICE products! 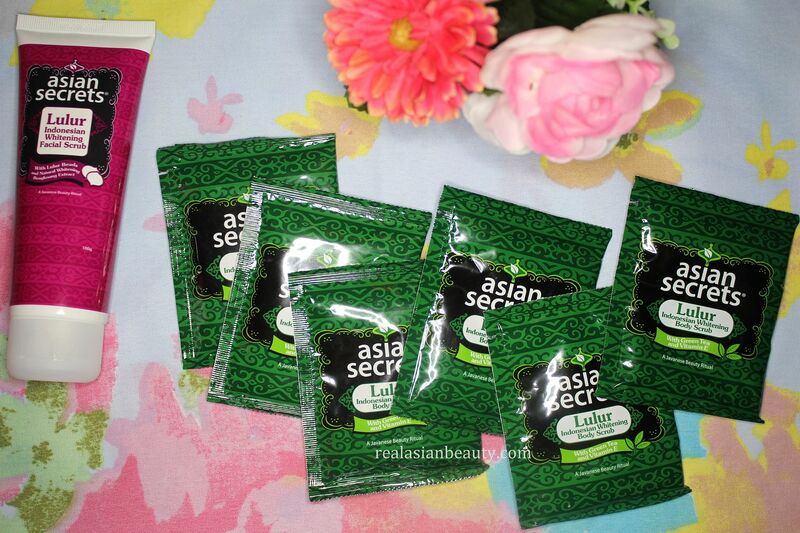 Take care of your skin with these ASIAN SECRETS goodies! 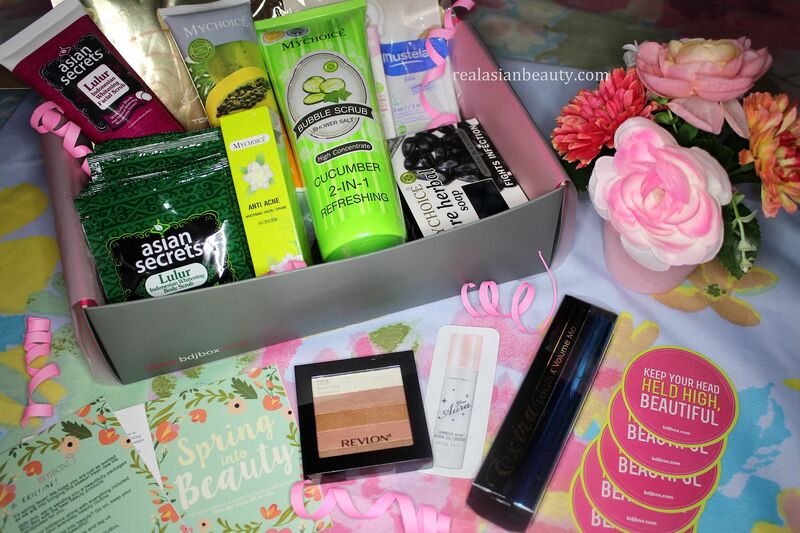 Beautify yourself with these lovely cosmetics from known brands! Expecting mothers also got a treat to keep their skin and their baby's skin fresh and pampered.  Mustela products in deluxe sample sizes. 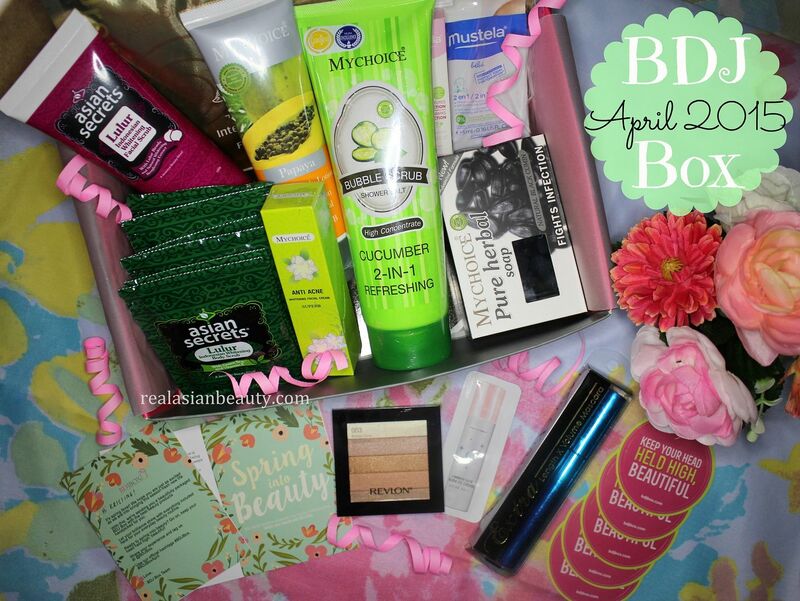 I know you've been wanting to subscribe to the BDJ Subscription Box! Check out their website HERE for more information!